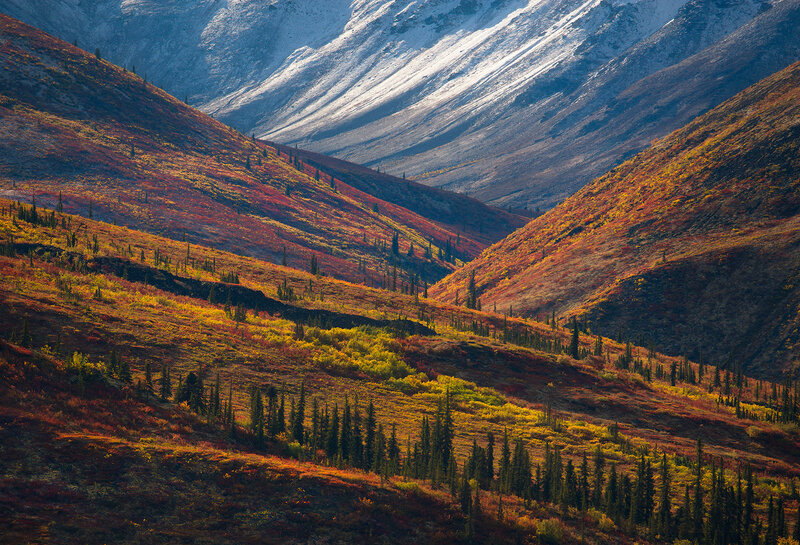 An array of fall colors on display in this mixing of the seasons portrait of the Yukon high country, taken near the Arctic Circle in the northern Ogilvie Mountains. . Photo © copyright by Marc Adamus. All material © copyright by Marc Adamus. Design by Raza Durrani. Website by WideRange Galleries.